Yesterday, Representative Steve Farley (LD 28) and Senator Al Melvin (LD 26) sat down with Bill Buckmaster for the Friday Roundtable to discuss the state's budget crisis. Click here to view video. 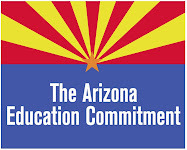 *It's worth noting that Senator Melvin once again references a per pupil expenditure AEN debunked in a previous post on our website and here on the blog. Are you kidding me??!?! Melvin infers that AZ should turn over all the revenue to the legislature to oversee?!?! (We're one of 4 states that has the governor oversee the monies.) Does he honestly think AZ is so incredibly STUPID as to give these yahoos control of the money?!?! This is the most incompetent majority party in the history of the AZ legislature. GET RID OF THEM!